The killing of 4 NATO troops in Afghanistan on Tuesday shows that the withdrawal of American troops from Afghanistan is not to be peaceful, said an analyst. A blast in eastern Afghanistan killed four NATO soldiers, two Afghan policemen and ten civilians. The Taliban has claimed the responsibility for the attack through a text message sent to Reuters. A spokeswoman for the Czech general staff has confirmed that the dead troopers were all Czech. 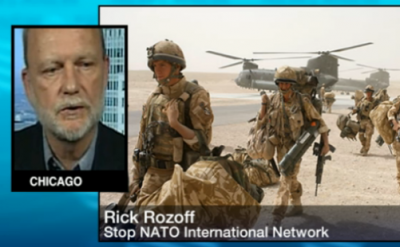 Rick Rozoff of Stop NATO International Network told Press TV on Tuesday. “Taliban and other opposition groups are going to pursuing them as they leave” the country, he added. Elsewhere in his remarks, Rozoff pointed to the presidential election in Afghanistan saying that the US somewhat manipulates the election. The US officials “basically structure the elections of a client regime, oversea them perhaps even determine in advance who is to win them but at the same time make accusations of voter irregularities so as to put the incoming head of state on the back foot,” he stated. “The US essentially tarnishes the reputation of the president who has won the election fairly or otherwise so as to keep him under their thumb and make them all more dependent on US aid and US approval,” he noted. “The US expects rather compliance from the new government in Kabul and to toe the line according to what the US demands,” Rozoff stated. Former World Bank economist Ashraf Ghani won the June 14 poll with over fifty six percent of the votes. However, his rival, Abdullah Abdullah, has rejected the outcome, calling it a coup. Meanwhile, electoral officials say the tally might change when the final results come out on July 22.